At Royal Limo & Town Car, we are proud to be able to provide high-quality Houston limo services to both residents and city visitors which cover the entirety of the Houston metro area. If you are looking for a limo in Houston TX, you can rest assured that as well as being able to provide you with experienced chauffeurs, we supply only the most luxurious and well maintained vehicles. In like manner, your safety and prompt dispatch and arrival at your destination is our No.1 priority. Wherever you need collecting from and wherever you need to get to, our Houston limo service operates 24/7 and is trusted by thousands of Houston residents to get them from A to B in the utmost comfort. Whether you are in need of last minute collection from a local restaurant or one of Houston’s airport terminals, we are proficient in providing the most professional, reliable and dependable service possible. Will you soon be arriving in Houston and require point to point transportation between Bush International or Houston Hobby Airport and/or your hotel or place of business? Servicing more of Houston than any other Houston limo service, we ferry passengers each and every day between homes, businesses and a variety of personal engagements. However as well as just point to point Houston limo services, we can also provide everything from sightseeing tours around Houston, to special event hire services. In the latter regard, our fleet of town cars and limousines are perfect for hire for graduation transport, group music and live entertainment transport, and a variety of corporate transport requirements. Because we are locally owned and operated, if you need a taxi in Houston TX, we guarantee that we will do everything exceed your expectations. 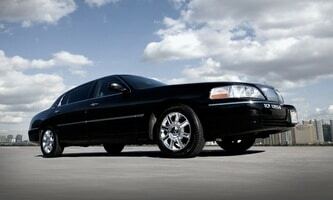 Are you in need of a limo in Houston TX? If so call or contact Royal Limo & Town Car today by phone: (281) 900-6765, or (713) 664-5466. Alternatively, feel free to contact us directly via email at: townandcar@gmail.com.